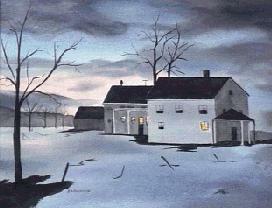 Betty Ann Anderson's favorite medium (when not designing computer graphics on the screen) is watercolour. The delicate transparency of watercolor is apparent in her work and her individual approach to subjects renders them lively and evocative. Everyone with a sense of connection to the Canadian landscape will respond to the power and passion of Betty Ann Anderson's art. 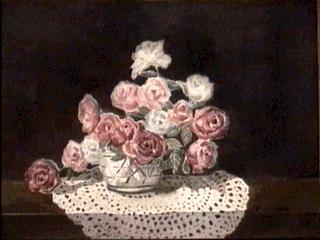 The design and execution of still lifes are very demanding when using the transparent watercolours. Rarely can any adjustment be made in the painting. Betty Ann Anderson, whose ancestors were early settlers in Prince Edward County on the Canadian shores of Lake Ontario, studied at the National Academy in New York and at the Art Students League. She was fortunate to study under such renowned painters as Mario Cooper, Ed Whitney, Rex Brandt, Priscilla Delmas, Eleanor Segur and Donna Cameron. 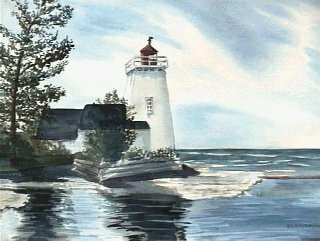 Betty Ann Anderson has sailed all her life, and has painted many marine scenes. They are currently on exhibit at various galleries in France, the Caribbean, the USA and of course here in Canada. 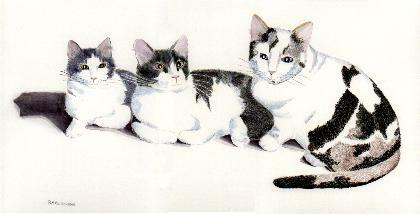 She has also gained an international reputation with her watercolour portraits of yachts for their owners, and would be happy to discuss such commissions with you. The artist works from real life, photographs and sketches. Many more of Betty Ann Anderson's paintings may be seen in her Catalogues of land- and seascapes and of florals and still lives including a few in private collections reproduced with permission, and more of her recent works..... Some originals may still be for sale.